Use auto focus, bulb function and continuous shooting functions with the Hahnel HRS 80 Remote. 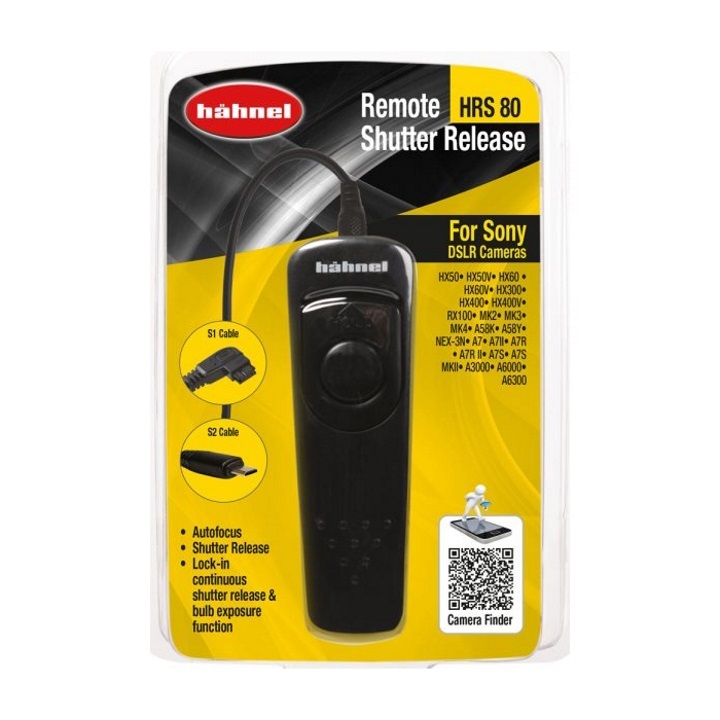 Hähnel Remote Shutter Release. HX50/50V / HX60/60V / HX300 / HX400/400V / NEX-3N. A450 / A350 / A300 / A200 / A100 / A99 / A77 / A77 Mk II / A65 A58K / A58Y / A57 / A55 / A37 / A35 / A33 / A7 / A7R Mk II / A7S / A7S Mk II.